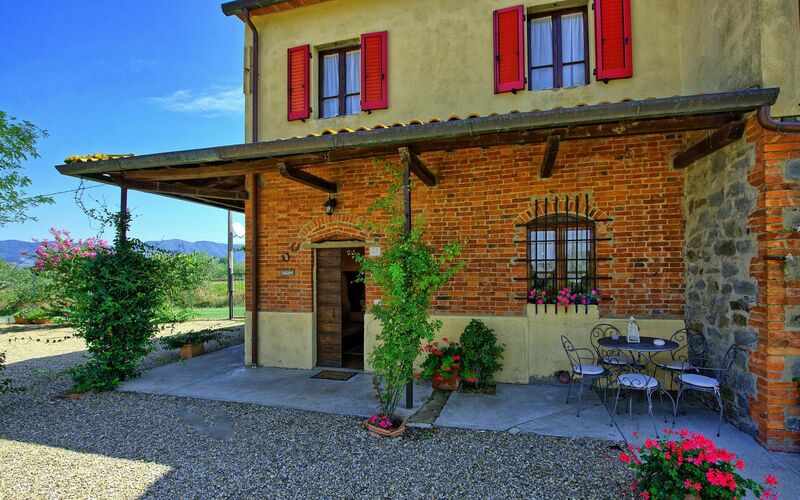 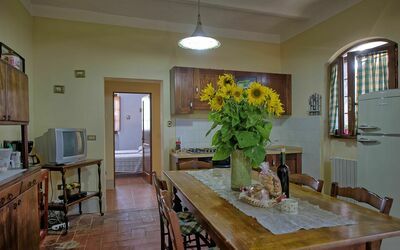 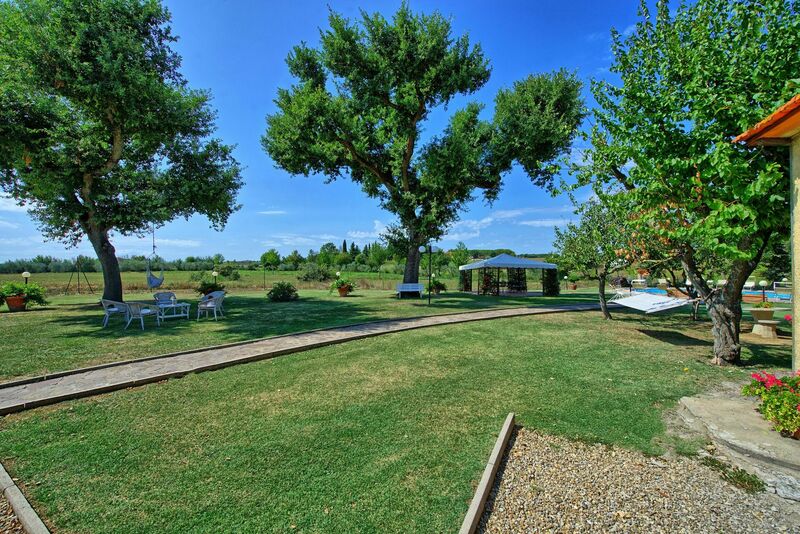 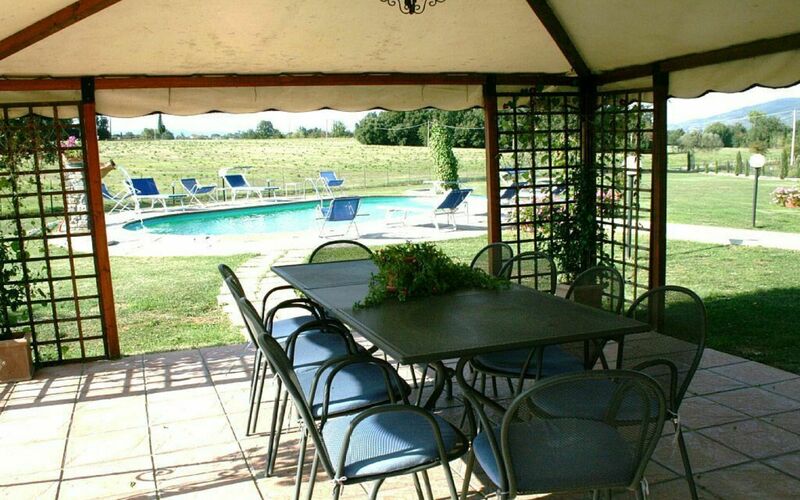 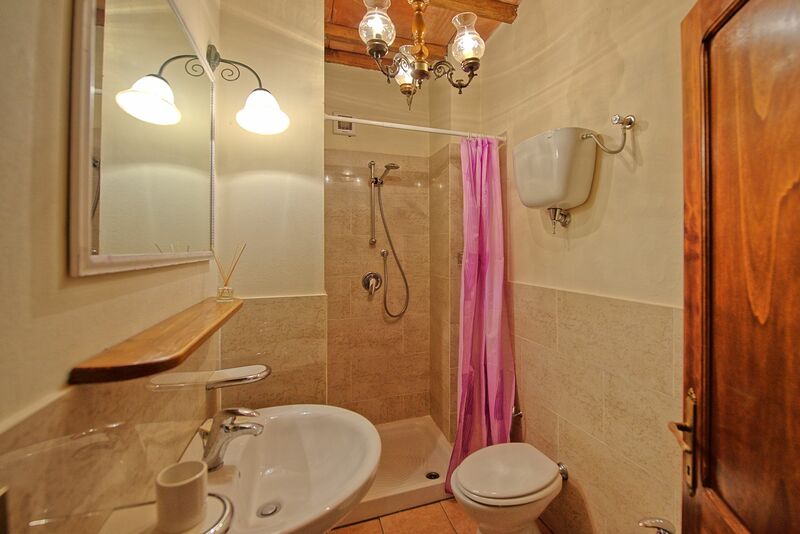 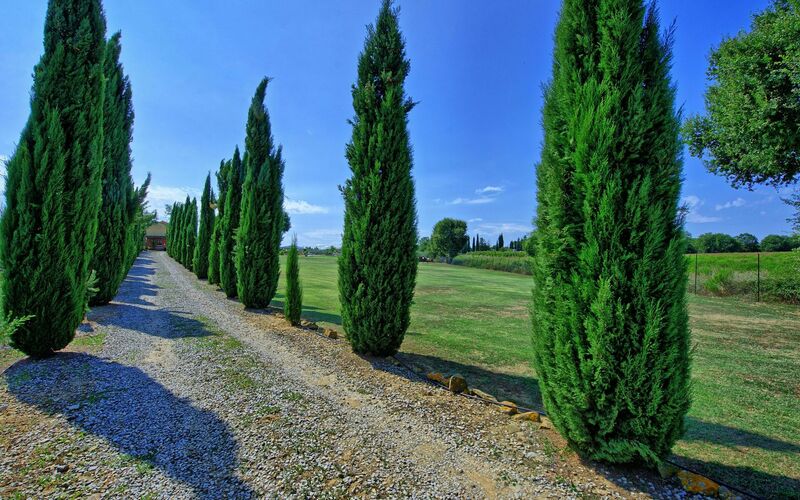 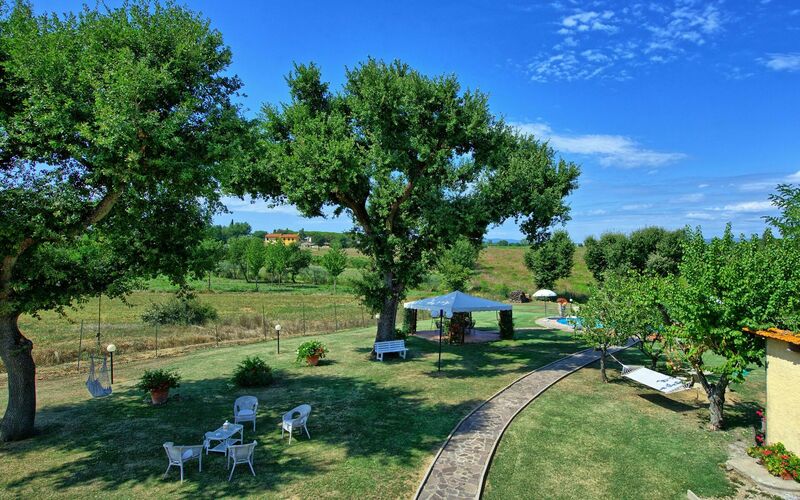 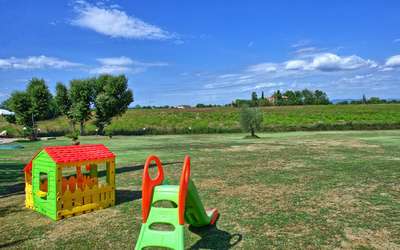 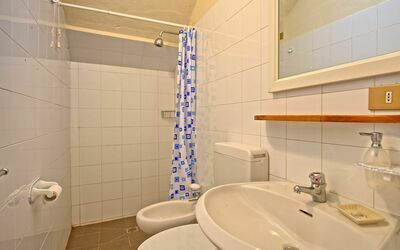 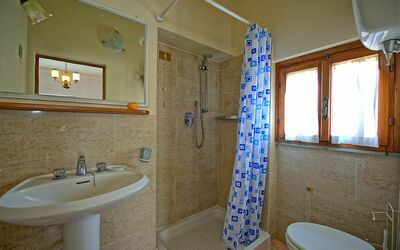 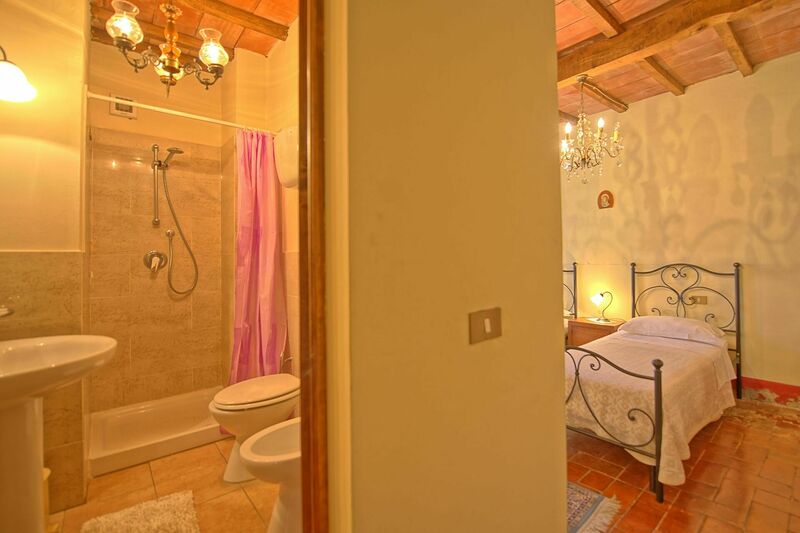 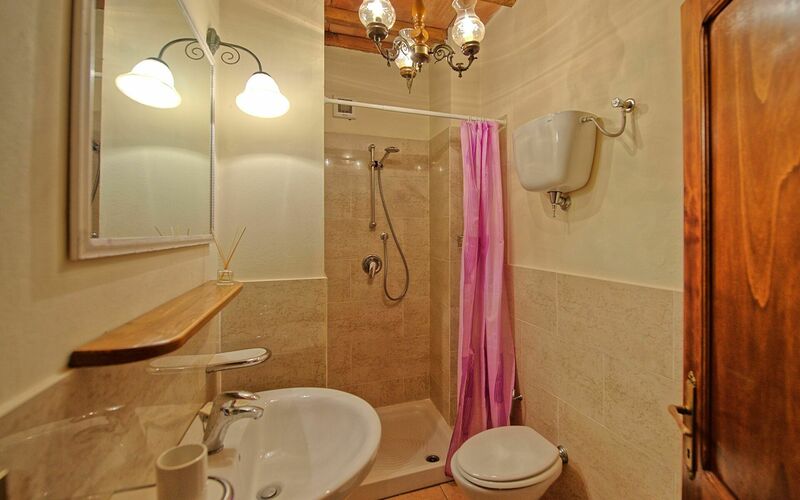 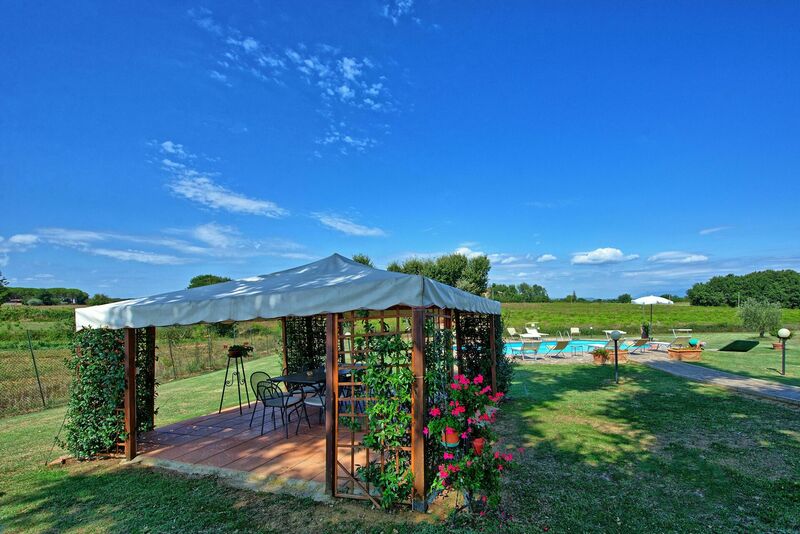 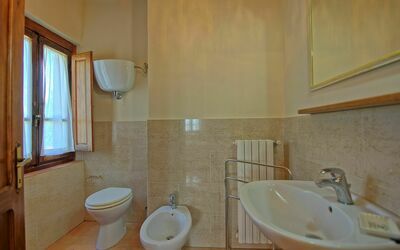 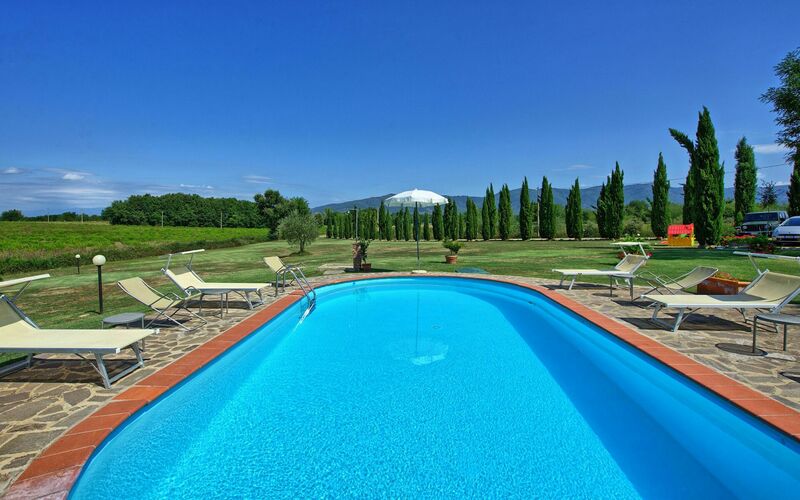 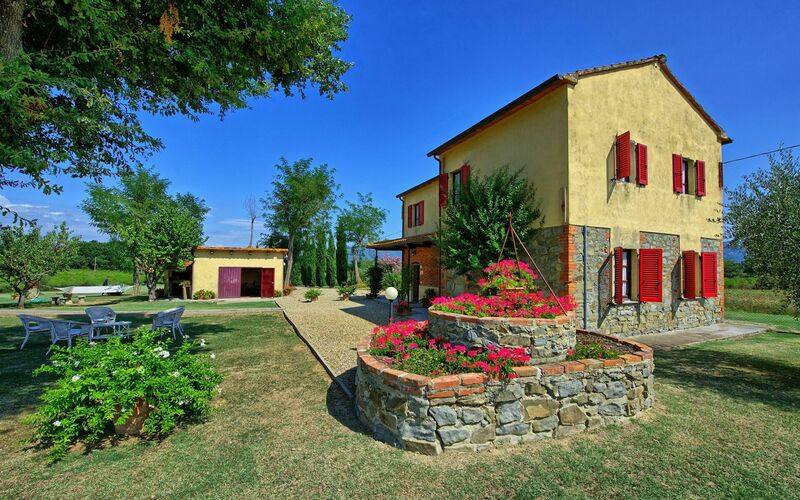 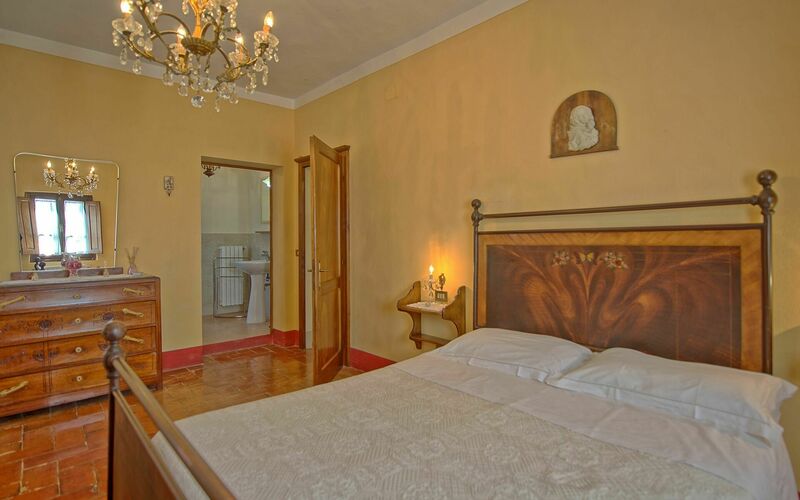 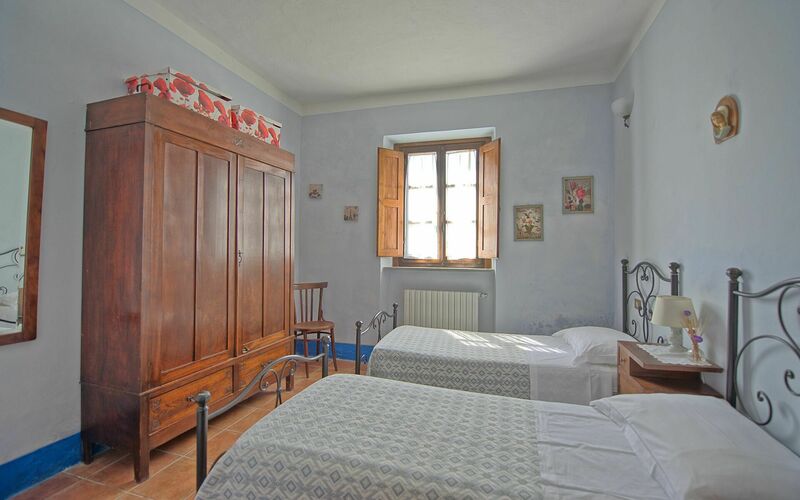 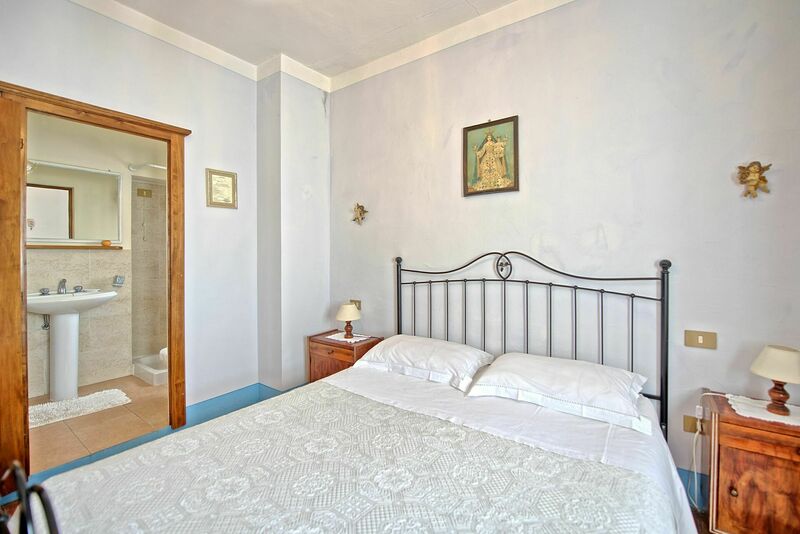 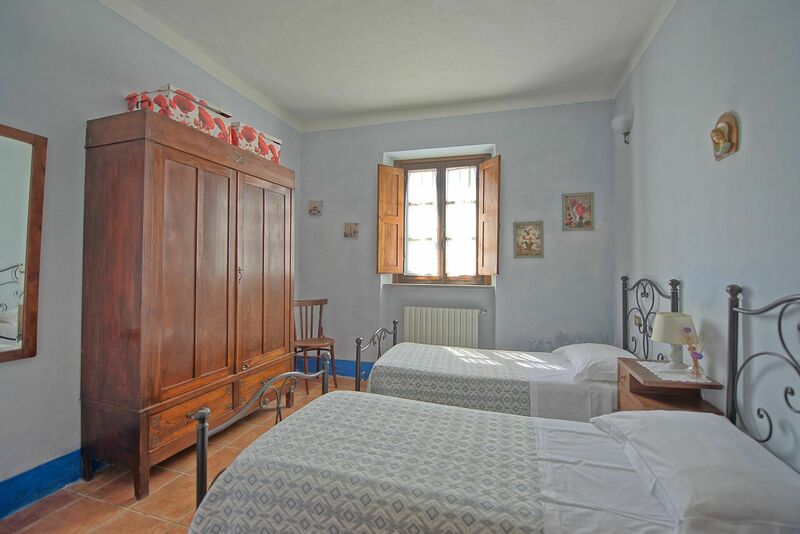 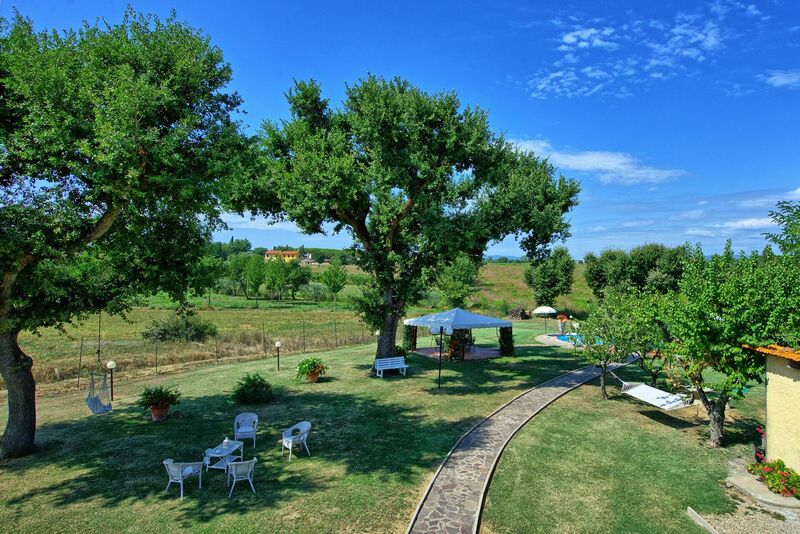 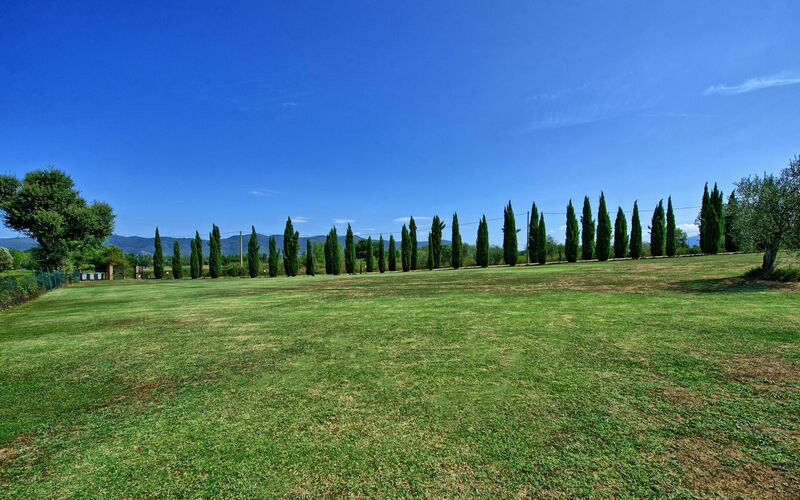 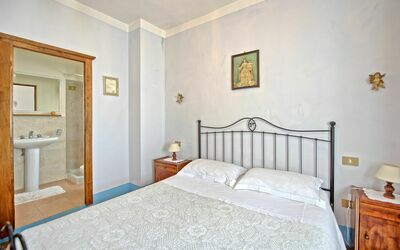 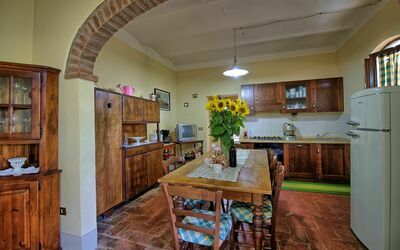 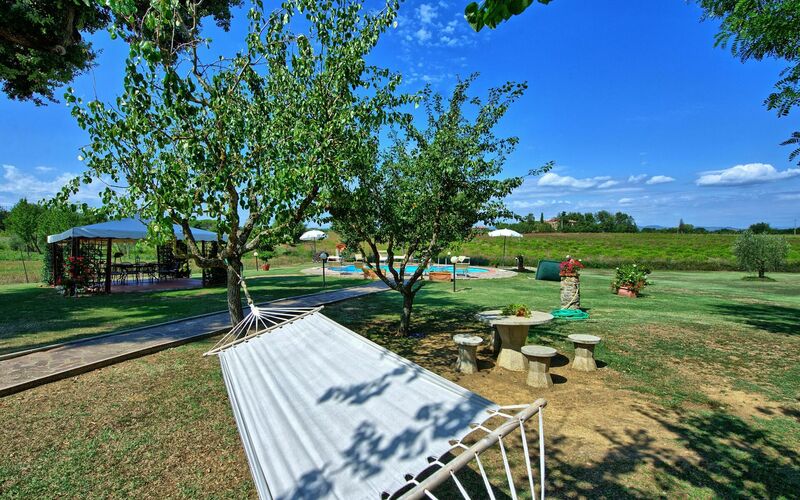 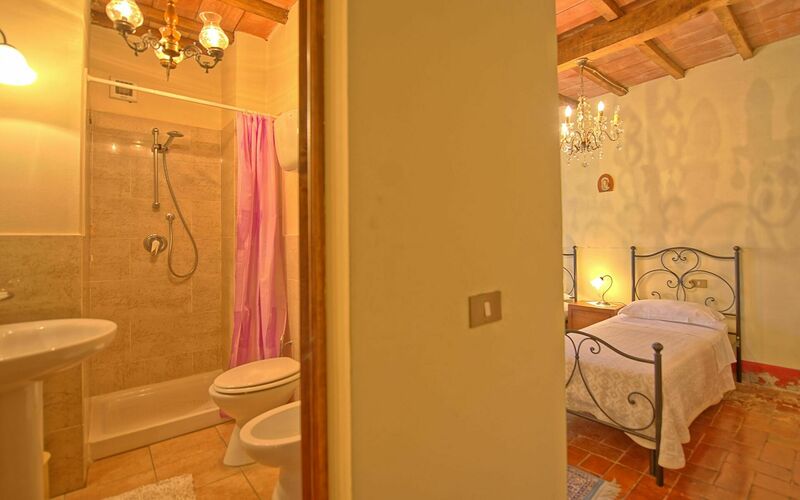 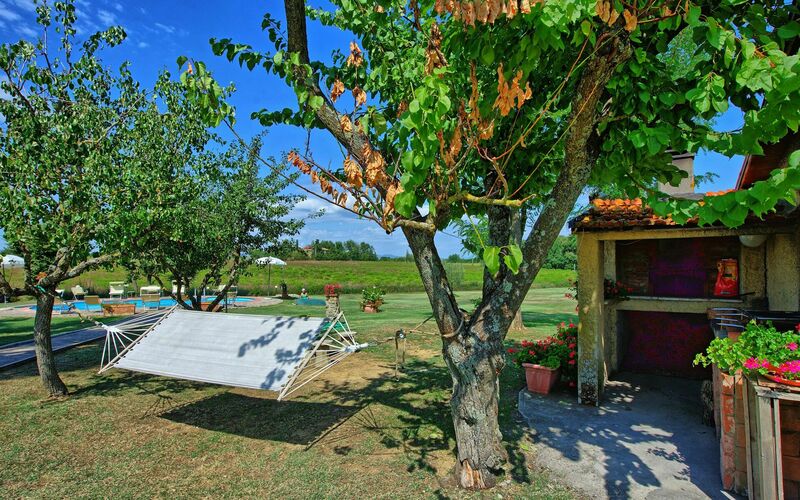 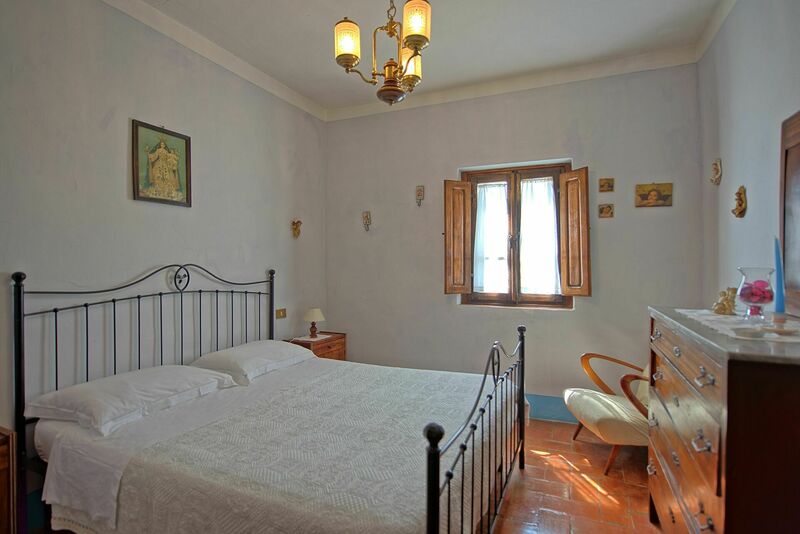 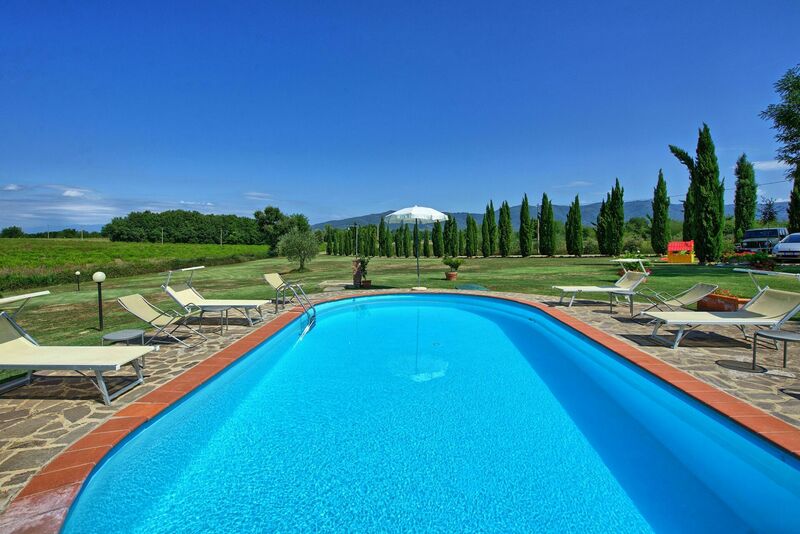 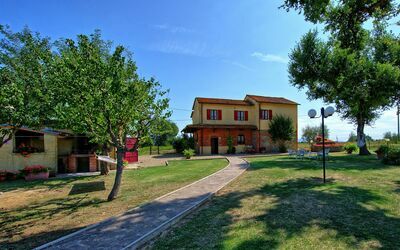 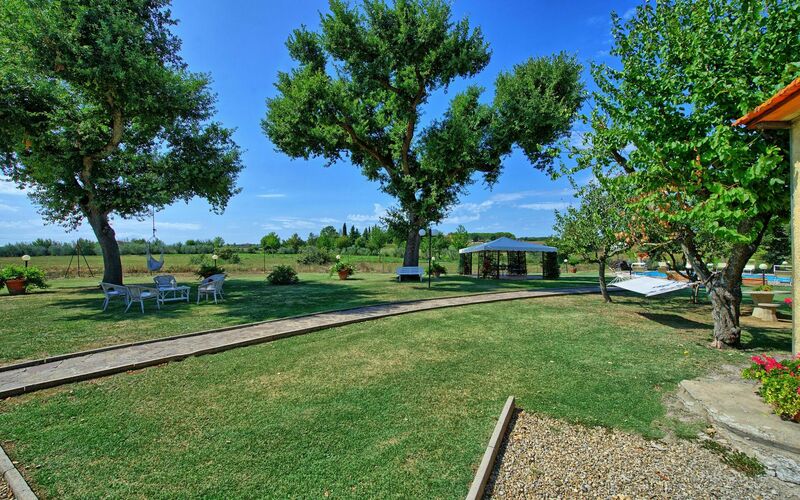 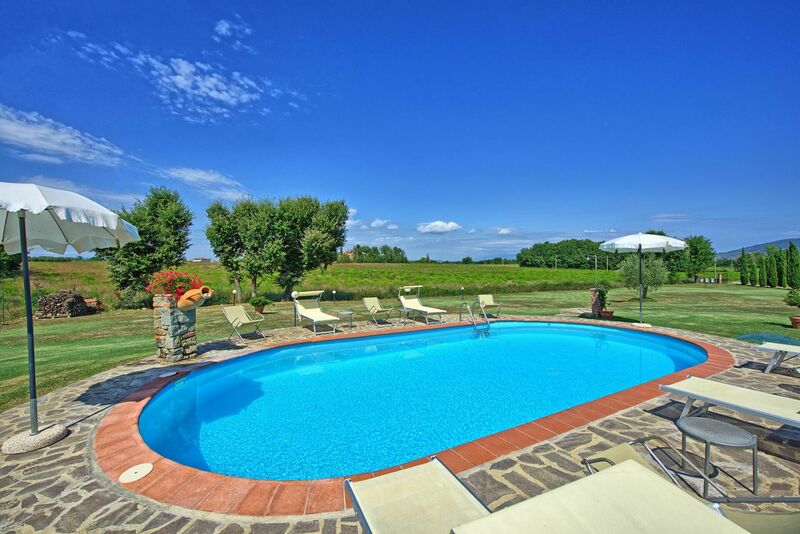 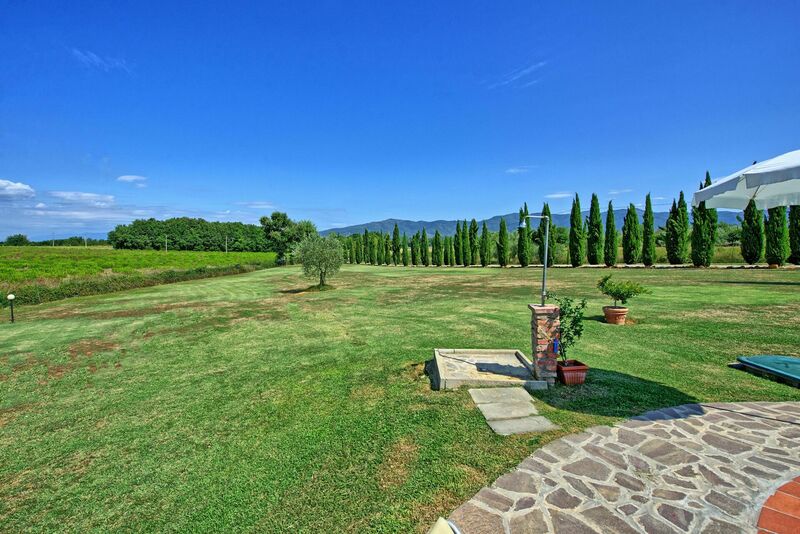 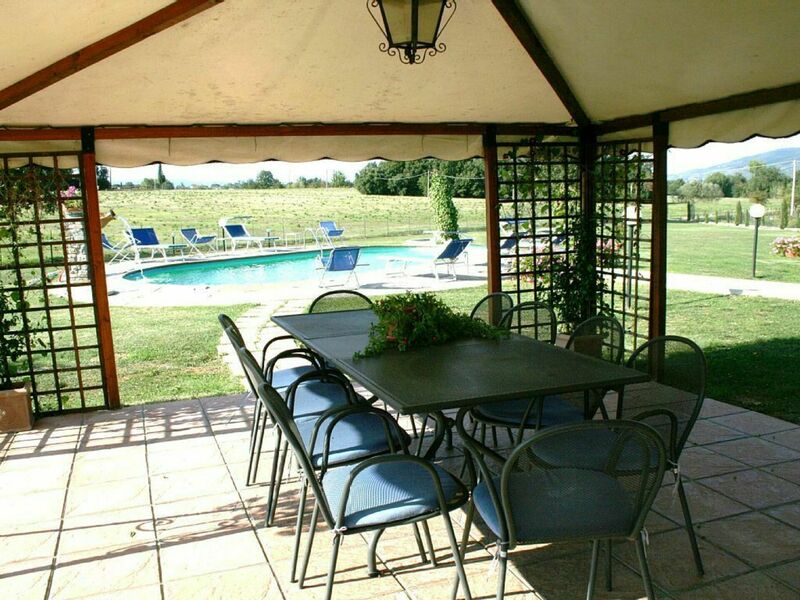 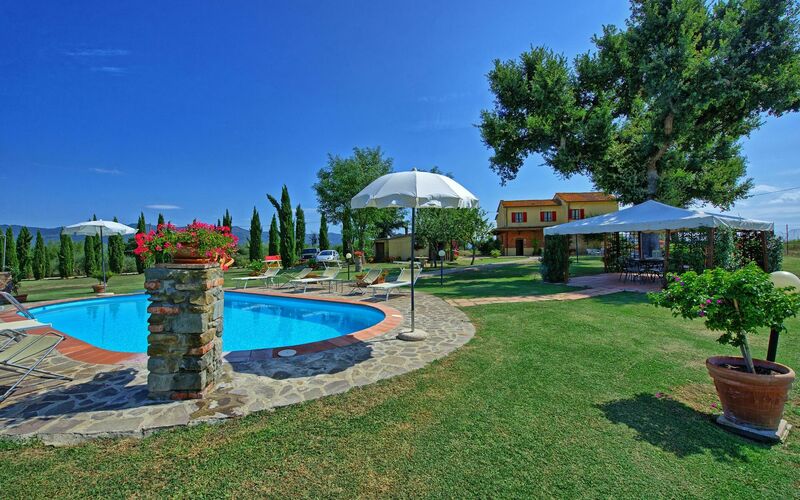 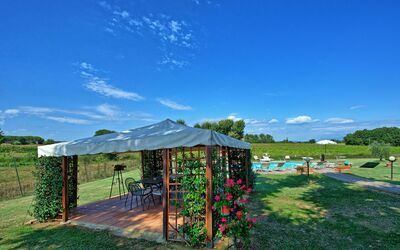 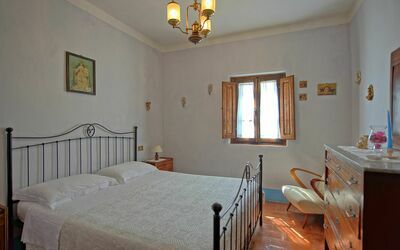 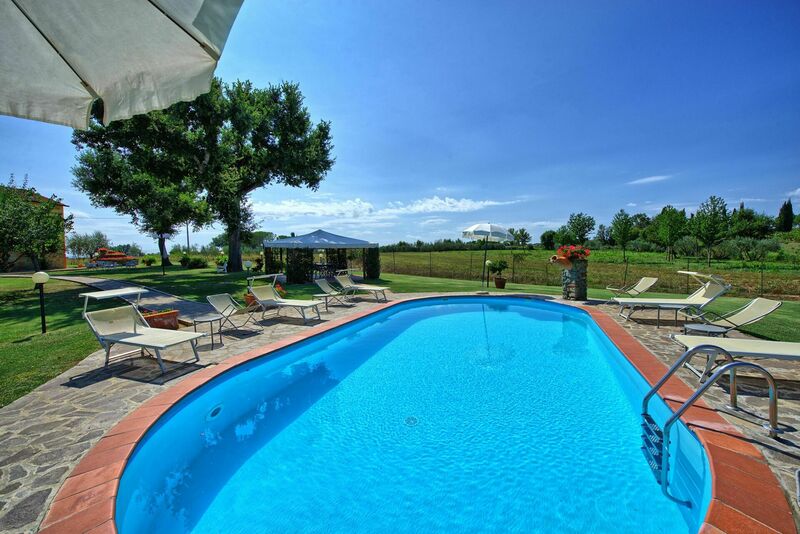 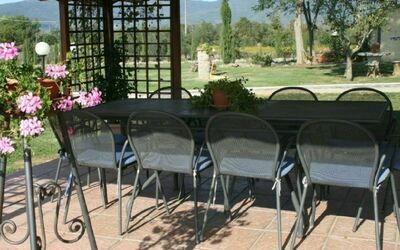 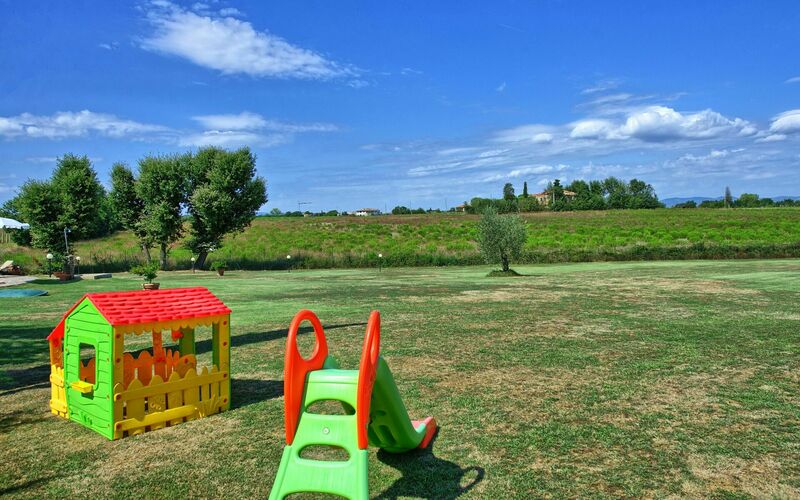 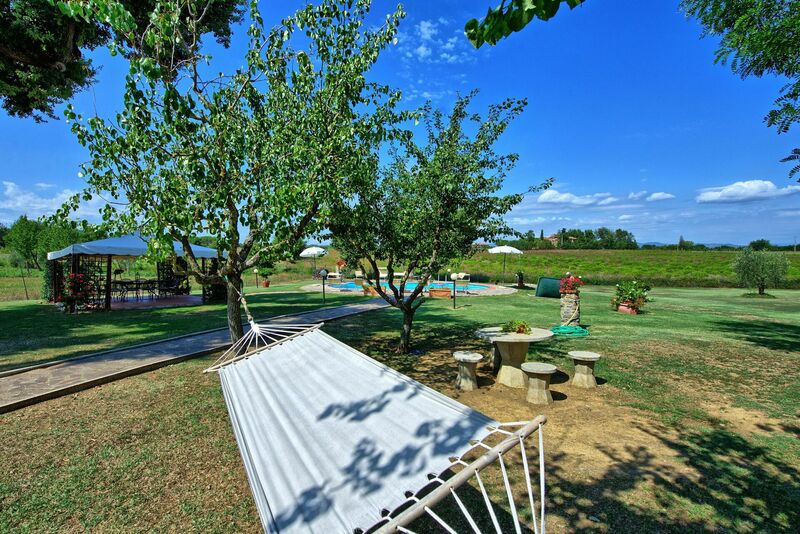 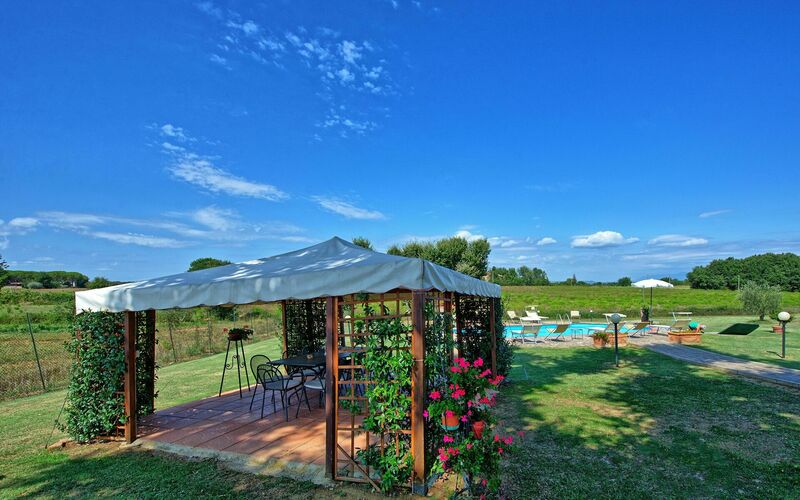 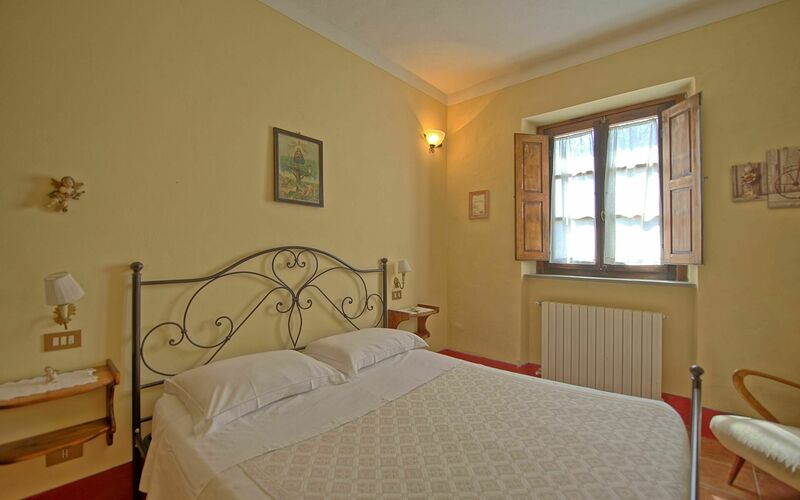 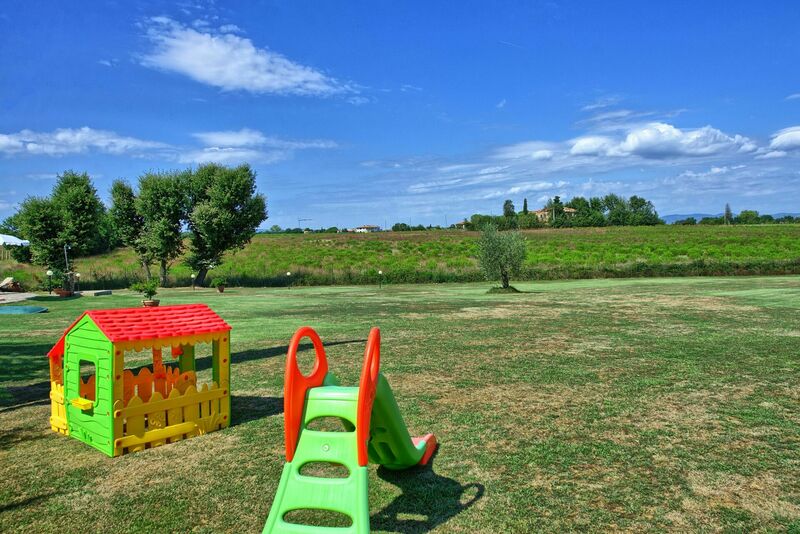 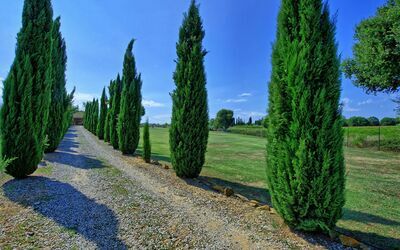 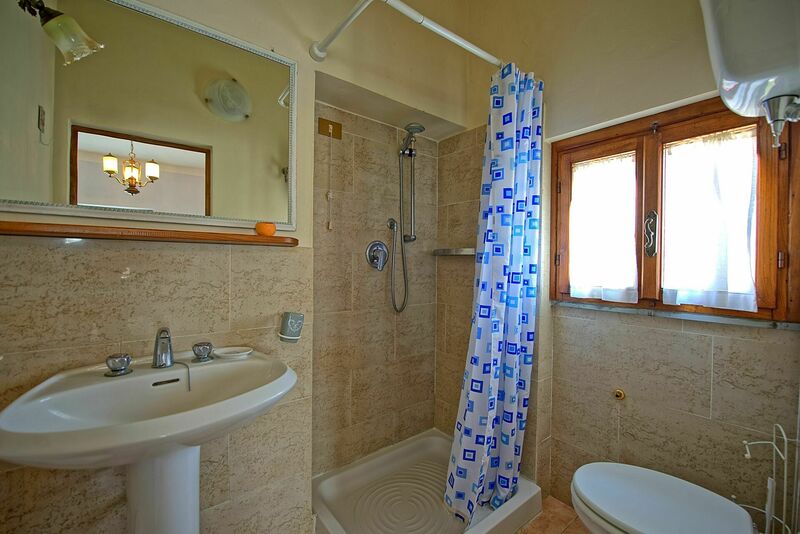 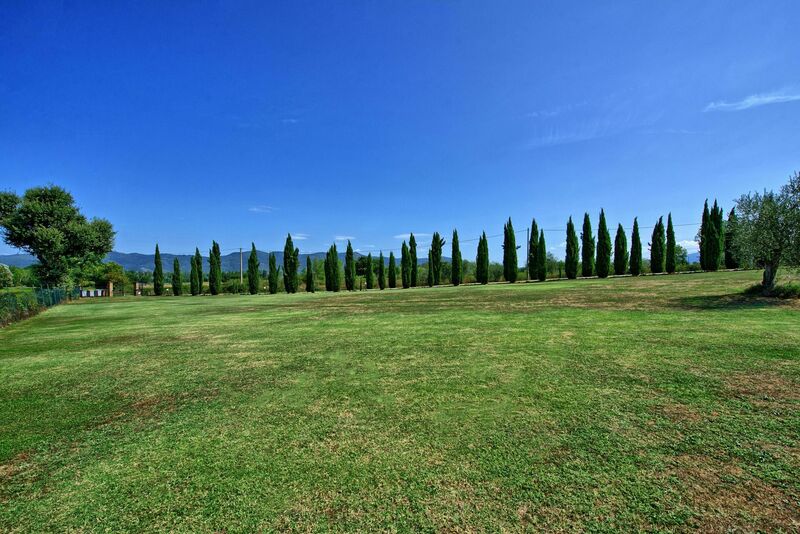 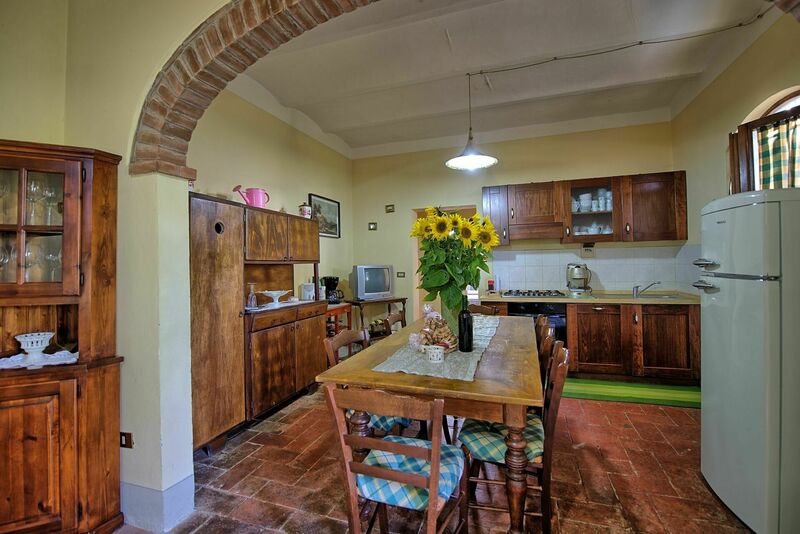 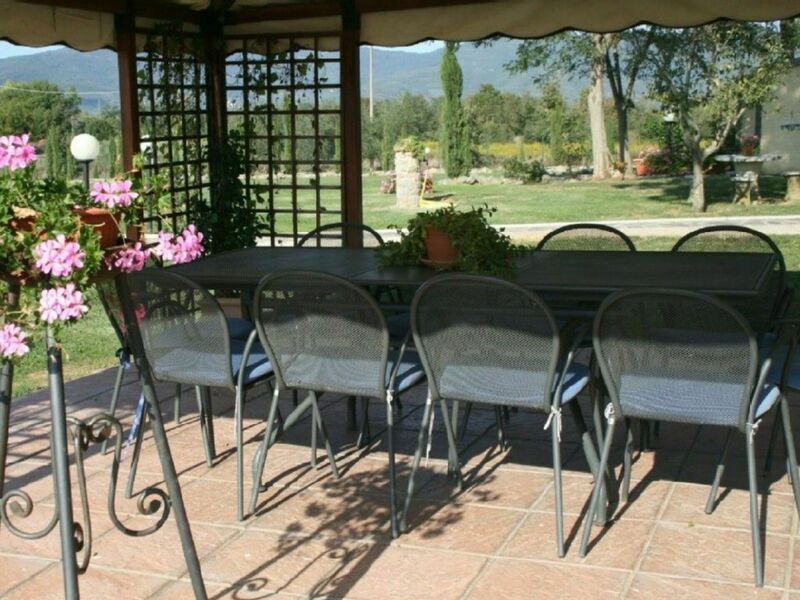 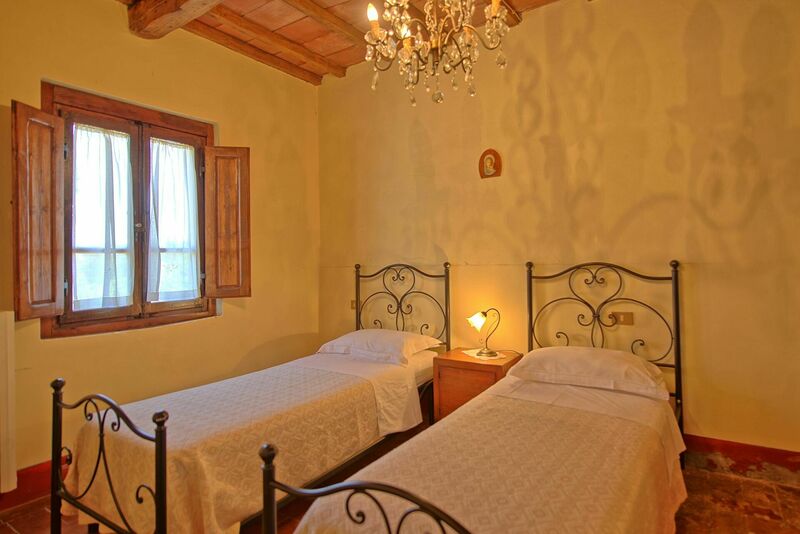 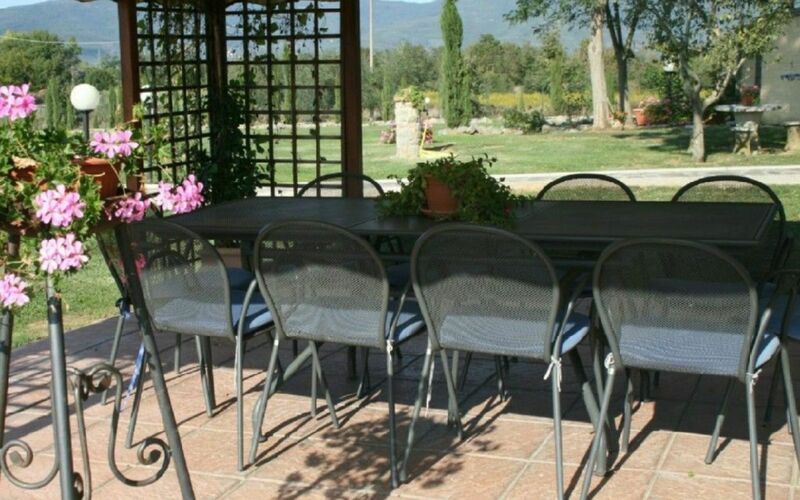 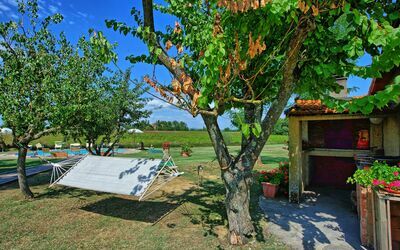 Comfortable holiday home ideally located close to the traditional village of Castiglion Fiorentino. 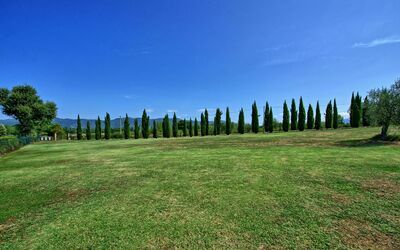 From this area located south of Siena, known as “Chiana Valley”, guests can easily reach Cortona, Siena, Orcia Valley, Umbria, etc. The villa is independent, furnished in a traditional rustic Tuscan style and is provided with a private garden and private swimming pool. 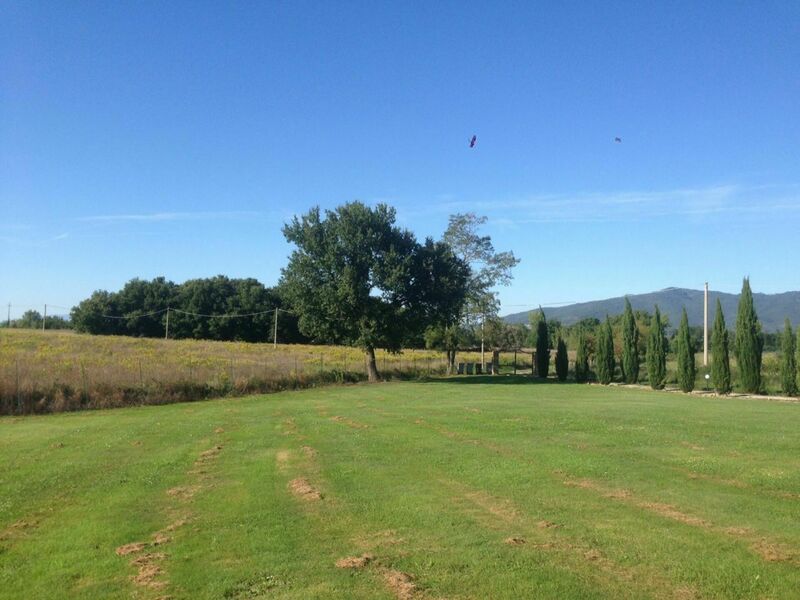 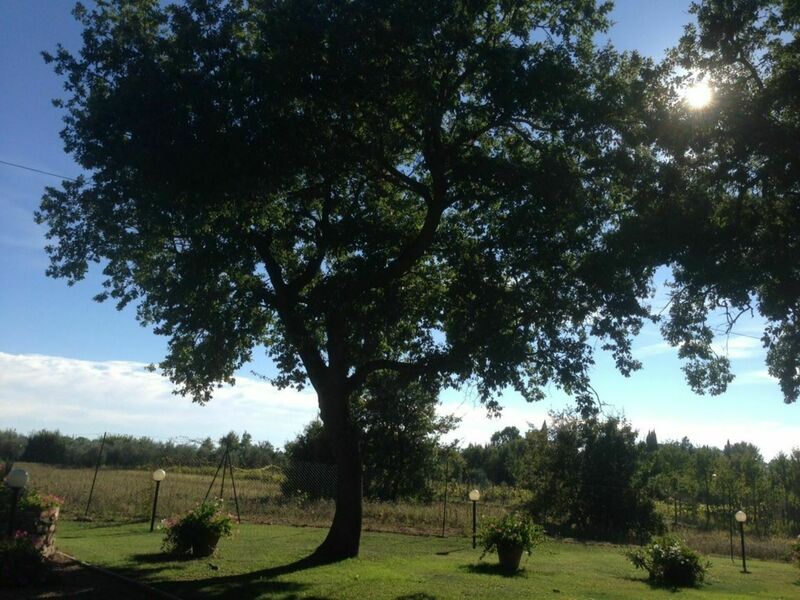 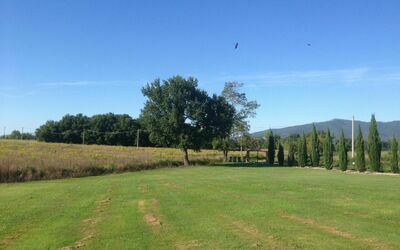 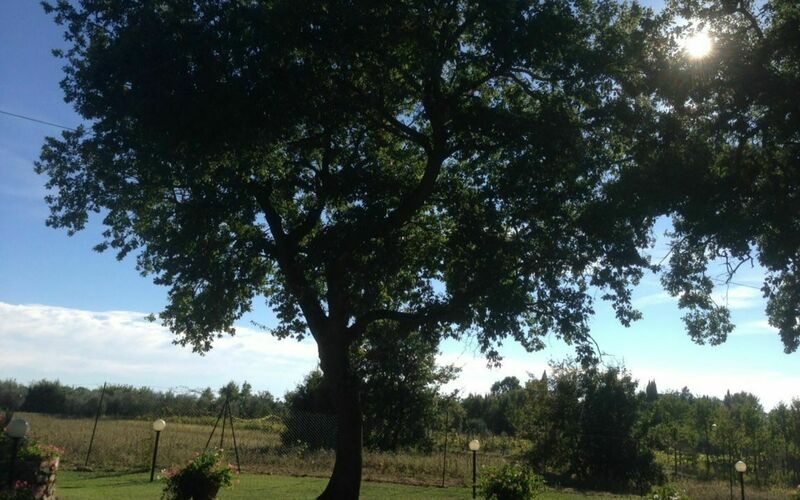 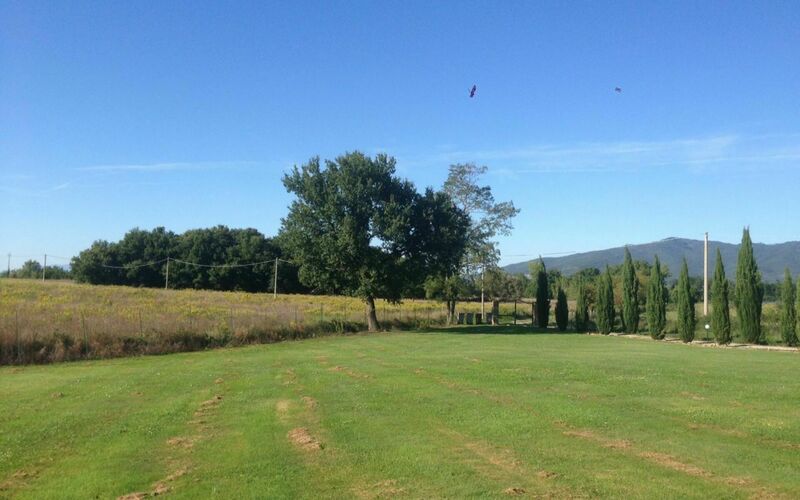 Access to the property is via 300m of unpaved road in good conditions. 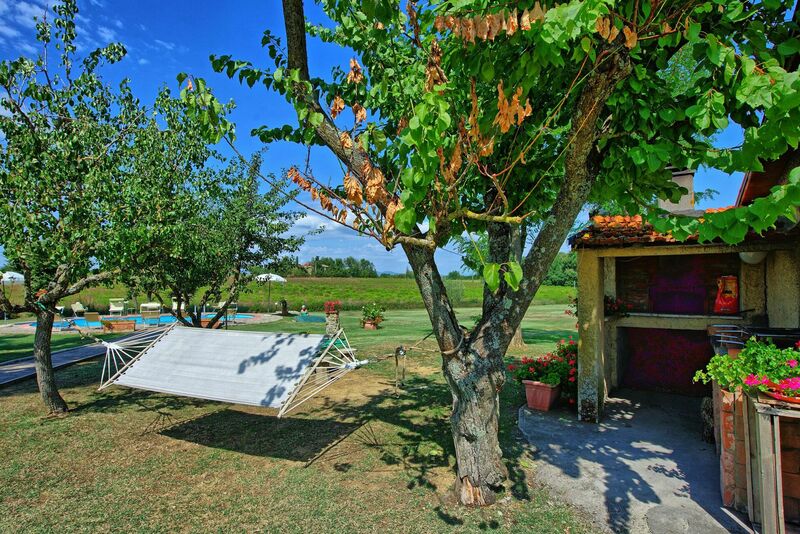 Next to the villa, a landing path for ultralight aircrafts is available on request and at disposal of the guests in case they wish to live the unusual experience of a flight over the surrounding countryside. At guests’ disposal: large furnished garden, gazebo, barbecue, wood oven, private swimming pool for the exclusive use of the guests (size: 10mx5m; depth: 1,5m; open from 01/05 to 30/09), outdoor shower (cold water); baby cot; pets are allowed. Distances: Castiglion Firoentino (with shops of any kind) 7 km away, Arezzo 18 km away, Cortona 19 km away, Lake Trasimeno 35 km away, Rapolano Terme (with thermal spas) 32 km away, Montepulciano 35 km away, Pienza 42 km away, Siena 55 km away, Montalcino (famous for its “Brunello” wine) 58 km away, Florence 95 km away, Orvieto 105 km away. 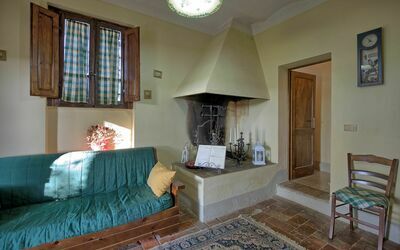 Lower floor: open plan sitting/dining area with double sofa-bed, fireplace, kitchen corner (oven, freezer, dishwasher), double bedroom, twin bedroom, shower room with washing machine. 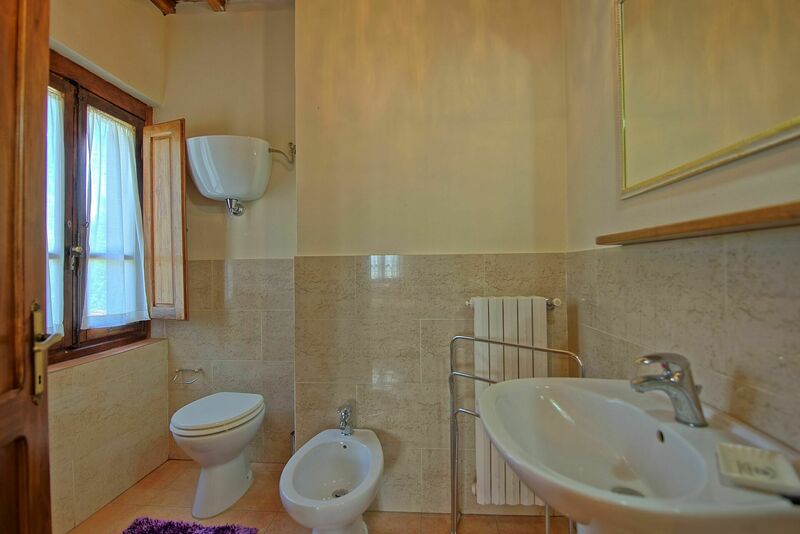 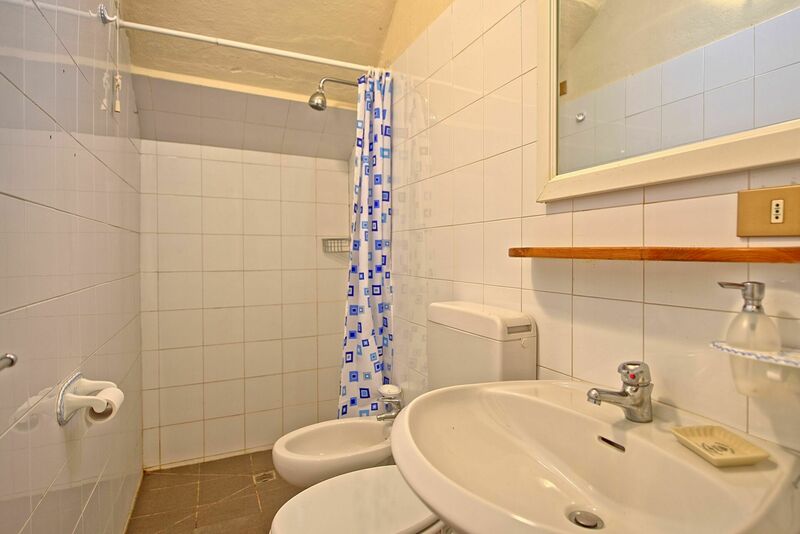 First floor: 2 double bedrooms each with en-suite shower room, twin bedroom with en-suite shower room. 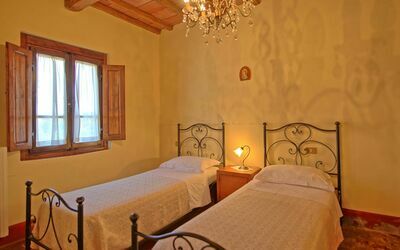 Local Tax: 3 € per person/per day for the first 4 days of stay (not applicable to children under 12 years).